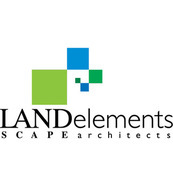 We design landscape for residential and lake front properties. Unique water features, decks, pools, patios, fire pits, plantings, and trees are just a few of the facets in our residential property designs. The design for this modern craftsman style home in Fargo was inspired by the strong lines in the architecture, which were then reflected onto the landscape. This custom water feature was built into the deck. Bridge over water feature maintains the functionality of the deck. Specific plants were chosen to compliment the lines of the home. Located on Historic 8th Street, this residence challenged our design team to mold modern tastes into a landscape that blends with one of the oldest neighborhoods in Fargo. The unique patio space was created using crushed basalt material. One of the window wells include a "water wall." A large pond with fountain was placed between the potting shed and back patio. You can find outstanding views of the entire property from the potting shed. This backyard retreat in Western North Dakota is an ideal place to entertain friends or relax with family. The lower yard offers amenities to appeal to the kids, like the custom designed playhouse, putting green, and plenty of pace to run. The upper yard is perfect for dining and catching a football game on the outdoor TV. Upper deck leads to lower patio with firepit and hot tub with view to outdoor TV. We created multiple outdoor living spaces in the yard of this Fargo home. Planting beds were built into the deck design. Following the lines of the home, multiple materials were used to build the seating areas. The goal for this project was to design a concept with a unique entry experience that complements the architecture of the home while creating a sense of privacy. The corten steel screen wall and trees creates privacy for the suburban property. LED strip lighting was used under the lip of the corten retaining wall, LED uplights were used on the trees in the planting beds, LED ring lights in the water feature. A mix of different materials were used in the landscaping. Berming, natural stone outdroppings, and a variety of colorful perennial plantings create a unique entry sequence for this beautiful home on Pelican Lake. Natural stone outdroppings brings out the natural look of the home. Landscape bed at the entrance of the driveway. This beautiful lake shore residence is surrounded by natural plantings of pine and shade trees. Entrance to the lake home is secluded and private with vegetation surrounding. This modern landscape design aimed to complement the unique architectual features of the home.